Bea-utiful. And reasonably priced to boot! 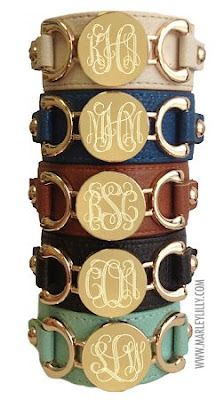 $40 at MarleyLilly.com. A nice leathery, equestrian flavor to them. And who doesn't love a monogram? !